Whether you already have a spa on your deck or patio, or you are considering purchasing a new model, you may have questions. This list of Frequently Asked Questions, and answers is meant to assist you. Become more well-informed about your spa. Visit our store to ask about how easy it is to own a spa. 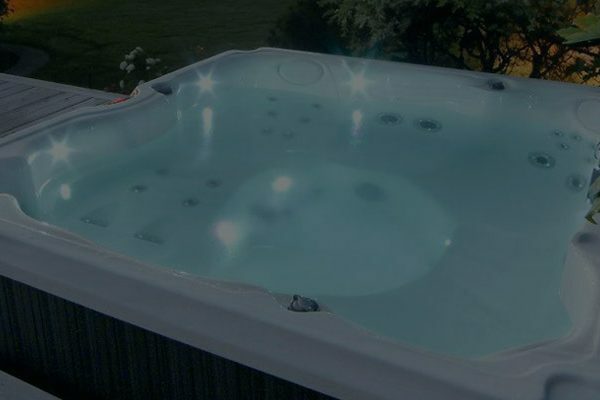 Quality spas are available in a wide range of prices. Just like cars, spa prices reflect features, materials and workmanship. Of course, we hope that as you are shopping you will consider a spa. No matter which brand of spa you finally choose, we want you to be an informed consumer and find the right spa for your needs. Proper water maintenance is a vital part of enjoying your spa. Bioguard’s spa care products give you soft, soothing water that is simple to maintain. We have a cutting-edge computerized water-testing system, and a well trained staff of spa professionals at all of our store locations to assist you with balancing your water and caring for your spa. Most manufacturers recommend draining and cleaning your spa at least 3 or 4 times per year, depending on how frequently you use it and how well you maintain your water. In most cases this simple process will only take about an hour to accomplish. Many jets are adjustable, giving you an amazing number of options. The jets adjust from oscillating to targeted; rotate clockwise, counter-clockwise, or stationary. You can control the flow, volume, and movement of other jets as well. In addition, controlling the amount of air mixed with the water with the air control valves changes the dynamics of the massage. Conveniently placed massage selectors let you divert water from one seat to another to increase or minimize the water flow. Ask us to show you how the strategically placed and uniquely designed jets make the spa experience the ultimate in relaxation and therapy. The MicroClean Water Purification System produces a level of water purity never before found in any spa. And it’s easy to maintain! Incorporating micro-filtering disposable filter, this system creates water that is cleaner and clearer than ever before. The Sundance® MicroClean Plus filter removes large particles, ultra-fine particles and oils from the water. So more filters are not able to give you the maximum water filtration found only on Sundance spas. Today’s finest spas feature a small circulation pump that continuously filters the water to keep it clean and clear. It also provides the necessary flow to allow the heater to constantly maintain your set temperature. spas without circulation pumps must rely on the low speed of a larger horsepower pump turning on periodically to provide filtration and the flow required for heating. The circulation pump is the most efficient method to provide flow for filtration and heating. The control system can keep your spa hot and ready to use. Or you may prefer the “economy” setting which allows you to tell the system when you are most likely to use the spa and the water will be hot and ready at your designated times. Can any spa on 120V electrical service? Most spas must be connected to 240V electrical service, but some offer the option of operating on either 120V or 240V. While connecting to 120V can be less involved, most customers prefer the benefits of the 240V spa, which include quicker heating time and better temperature maintenance during cold weather use. This is because the heater output is four times as great in a 240V spa versus a 120V spa. If you choose to connect your spa to 120V service, you must be certain that it is a dedicated circuit, not shared by any other appliance, and has amperage rating appropriate for the spa you select.